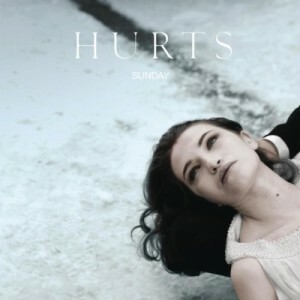 Hurts – our favourite purveyor of moody synthpop – is back with a video for their latest single ‘Sunday’ and just as you’d expect, it’s yet another melancholy dramatic affair. Here the British duo teams up with director W.I.Z. (who shot their ‘Better Than Love’ video and Jamelia’s brilliant ‘See It In A Boy’s Eyes’) for a minimalist production filmed in Romania, juxtaposed with scenes of a technicolour contemporary “underworld” where our protagonist Theo goes to bring back his lover in a very Orpheus like fashion. The video’s sumptuous themes of death, after life and “looking back” seem to fit marvelously with the song’s own feel. ‘Sunday’ will be released in the UK this Sunday – the CD single features a previously unreleased track ‘Live Like Heroes’, while the digital bundle contains remixes courtesy of Seamus Haji and Tom Flynn.